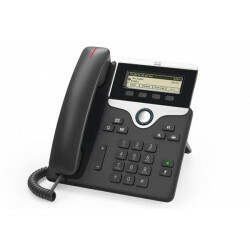 The Cisco IP Phone 7811-3PCC with 1 Line has been upgraded to support Third Party Call control. The Cisco 7811 offers simple, secure and cost-effective VoIP Communications for small to large businesses. This is an ideal communication end point for lobbies, cafeterias and conference centers where there is a need for occasional-to-light communication needs. The Cisco IP Phone 7821-3PCC with 2 Lines has been upgraded to support Third Party Call control. 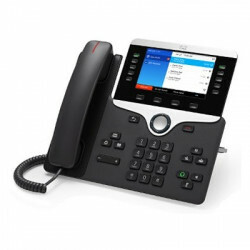 The Cisco 7821 offers simple, secure and cost-effective VoIP Communications for small to large businesses. This is an ideal communication end point for areas where there is intermediate communication needs and features such as headset support, wideband audio, and full duplex speakerphone capability would be useful. 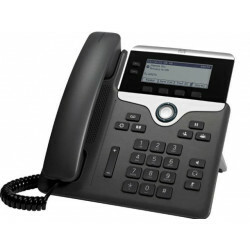 The Cisco IP Phone CP-8861 with 5-Lines has been updated to support Third Party Call Control. This easy-to-use IP Phone features WiFI support, integrated Bluetooth and a USB port with fast charging capability. The 8861 also features wideband audio and provides high security so that all of your business communications are secured and you can talk with peace of mind. The Cisco IP Phone 8861 is ideal for knowledge workers and remote workers across industries and businesses of all sizes.